Woodland owners tax class, talent show auditions and more going on in and around Molalla this week. This class is a must for anyone with recent forest income or planning for future income from their forestland. The session is Tuesday, Feb. 5 from 6-8:30 p.m. at the OSU Clackamas Extension Annex, 200 Warner Milne Road, Oregon City. This session will help you improve the records you keep on your forestland as well as minimize the taxes that you pay on income generated by your forest. Clackamas County is holding a meeting to give the public a chance to weigh in on a potential vehicle registration fee of $30 annually. The county will use the money to relieve congestion, maintain county local roads and implement safety improvements. The hearings are scheduled for Feb. 7 at 10 a.m. and Feb. 21 at 6 p.m. in the Board Hearing Room (fourth floor) at the Public Services Building, 2051 Kaen Road in Oregon City. The public is invited to give an up to three-minute comment at the meetings. Colton Boosters' Stars on Stage Talent Show is coming soon. Those who want to take the stage on the big day (March 9 at 6 p.m.) should attend auditions on Feb. 7 at 6 p.m. at Colton Middle School. Need more time to perfect your act? That's okay; just bring a summary and sample of your talent to the audition. Organizers want everyone to have enough time to prepare for the big show. There will be cash prizes for the top three judges' choice winners and top three audience vote-getters: $100 for first, $75 for second and $50 for third. Linda Dundon will facilitate making and stamping cards on Saturday, Feb. 9 at 2 p.m. at the Molalla Public Library. This class is for adults only. Please sign up to participate. The Molalla Public Library is holding a Craft Club on Tuesday, Feb. 12 at 4:30 p.m. at the library. Kids in preschool through 5th grade are invited to make Valentine's Day cards. The next meeting of the Colton Historical Committee will be on Tuesday, Feb. 19 from 11 a.m. to 1 p.m. at the Colton Fire Station, 20987 South Highway 211. There will be a presentation by Doug Shannon on the Lindstrom family and Judy Crawford will give a presentation on Samuel Hill who was one of the first Swedish settlers in Colton. The meeting will be followed by a potluck. Zion Mennonite Church will hold its 47th annual Quilting Workshop on Thursday to Saturday, Feb. 21-23 from 10 a.m. to 3 p.m. each day at the church. There is no admission charged, but donations are accepted for the Senior Center in El Torno, Bolivia. Zion Mennonite Church volunteers will serve a soup and bread lunch each day from 11 a.m. to 1 p.m. for a $4 suggested donation. For online information, visit www.zionmennoniteoregon.org/community-ministries/quiltingworkshop/ or call 503-651-2274 or Louise Gingerich at 503-651-2816. The Clackamas Soil and Water Conservation District and Pudding River Watershed are bringing "Mud and Manure and Pests, Oh My!" to Canby on Saturday, Feb. 23 from 9 a.m. to 3 p.m. The cost for the workshop is $10. The guest speaker will be Alayne Blickle, founder of Horses for Clean Water. The main topics to be covered include useful ways to manage mud and runoff on property. Also discussed will be what causes mud, how it affects horse health and steps owners can take that will reduce and even prevent mud on the property. Molalla Kiwanis and the Oregon Department of Forestry are holding their Annual Food Drive and Dinner on Thursday, March 7 at Molalla Grange Hall: 127 Grange Ave. in Molalla. Doors open at 5:30 p.m. and dinner will be served at 6 p.m. with the auction to follow. The event supports the Molalla Food Bank as part of the Governor's State of Oregon Employees Food Drive efforts. Donations from local merchants are auctioned at the banquet. Guests can come win some great items including Winterhawks tickets, Cindy's famous pie and the chance at a prize mystery bucket. Any merchandise, service, or monetary donation is welcome and will directly benefit those in need in the community of Molalla. No donation is too small. All donations are tax deductible. Dinner choices include barbecue chicken or beef and a vegetarian option. The cost is $10 per person or $30 per family of four. Please RSVP by Friday, Feb. 28 by calling Kiwanis at 503-829-4766. A workshop that could help Molalla residents combat wildfire danger is coming to the Molalla Grange on March 12 from 6-8 p.m. Be proactive and educate yourself on the steps you can take to make your home and property more fire resistant. Over the past three years, the Molalla Area Women's Cancer Support Group has successfully reached out to dozens of women to offer emotional, spiritual and practical help. New members are welcomed with a care package to help them cope with the side effects from cancer treatments. 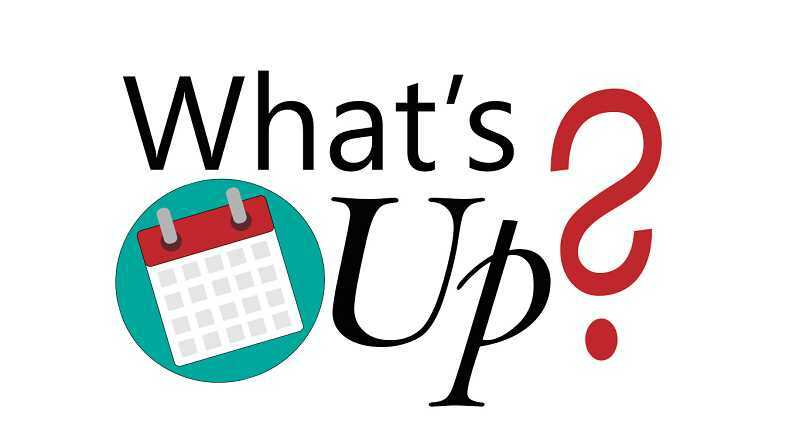 The group meets on the third Friday of each month from 1-2:30 p.m. at the Molalla Adult Community Center, 315 Kennel St.
For more information, call 503-829-5101 or visit facebook.com/molallacancersupport. The Molalla Warming Center, located at 209 Kennel Ave., is now open through March, whenever the overnight temperature is forecasted to drop to 34 degrees or below. It opens at 6 p.m., and dinner will be served. The Molalla Public Library is hosting a weekly high school Spanish conversation group. The meetings take place at the library on Tuesdays at 4 p.m.
Molalla Christian Church gives out free Tri-Met passes for low-income individuals who have a need. Passes are available at the church, 223 E. Third St., Monday through Friday from 10:15 a.m. to 2 p.m. The church can provide a book of 5-day passes and more depending on demand. The passes are made possible through a grant from Tri-Met to assist people with transportation needs to get into Portland for work, appointments, houseless help, veterans help and more. The Molalla Adult Community Center holds a writing group every Tuesday at 1-2:30 p.m. The class is free and open to anyone. Molalla United Methodist Church will open a soup kitchen every Tuesday from 4-6 p.m. and the fourth Saturday of each month from 1 to 3 p.m. They will provide a nutritious meal at no charge to those who desire or need them. Donations of juice, cheese, veggies, fruit and finances are welcome. The soup kitchen also needs volunteers to help cook, serve, wash dishes, and clean tables. To volunteer go to the Facebook page and leave your phone number. Alcoholics Anonymous meetings at the Molalla Adult Community Center are held every Monday, Wednesday and Friday, at 3 p.m. The center is at 315 Kennel Ave., in Molalla. Monday Night Miracles Al-Anon Family Group meets at the Smyrna United Church of Christ, 31119 S. Hwy 170 on Mondays at 7:30 p.m. Molalla AFG meets at the Molalla United Methodist Church, 111 Mathias Road, on Wednesdays at 8 p.m. The Molalla Aquatic District holds public Regular Board Meetings on the second and fourth Tuesdays of the month at 7 p.m. at the Molalla Aquatic Center, 432 Francis St.
A Parkinson's Disease Support Group meets on the third Tuesday of the month at 10 a.m. at the Molalla Adult Community Center. Families, care partners and friends are welcome. For more information, contact Debbie at 503-829-6008. TOPS #721 Molalla meets every Wednesday at 10 a.m. For more information, call Maryanne at 503-829-2972 or Paulette at 503-651-2448. The City of Molalla is looking for volunteers for its Wastewater Facility and Collection Advisory Committee. To pick up a short application, visit the city hall offices at 117 Molalla Ave. For more information call 503-829-6855.